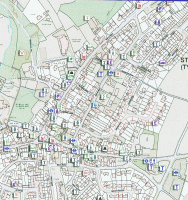 Following the release of several geographic databases (royalty free) by Ordnance Survey on the 1st April 2010, we have been reviewing the information to determine whether we can help turn this raw data into useful information for customers to use in GIS and mapping software. In addition to improving the grid references (and lowering the price!) of our Postcode grid reference file, we have also used the raw Code-Point grid reference data to build a set of Postcode polygons for Great Britain. 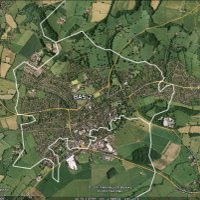 These boundaries can be used in a variety of GIS and mapping software such as Mapinfo, Arcview, Maptitude and even Google Earth to view the extent of Postcode Sectors, Districts and Areas across the country. The polygons have been created using a variety of techniques based on Voronoi diagrams to create areas around every Postcode in the country which are then aggregated to created the boundaries for each level of Postcode geography. As we only use the Postcodes with the highest positional quality indicators from Ordnance Survey and also exclude PO Boxes, these boundaries are the most accurate boundaries that can be produced using this technique. At £300 for a single user and £600 for unlimited company use, we also believe these boundaries offer unbeatable value for money. You can download a specification and a sample of the boundaries directly from our website.